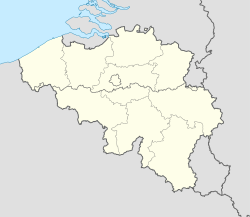 Spa is a municipality o Belgium. It lies in the kintra's Walloon Region an Province o Liège. It is situatit in a valley in the Ardennes muntain chain, some 35 km (22 miles) sootheast o Liège, an 45 km (28 miles) soothwast o Aachen. As o 1 Januar 2006, Spa haed a total population o 10,543. The total aurie is 39.85 km², givin a population density o 265 inhabitants per km². 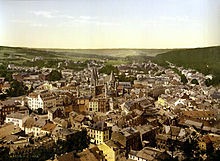 As the famed steid o healin hot springs, Spa haes been frequented as a waterin-place syne as early as the 14t century. Though ither sources o healin hot mineral springs hae become famous throughoot the warld, it is the toun o Spa which haes become eponymous wi ony place haein a natural water source that is believed tae possess special health-givin properties, as a spa. The place name is frae Walloon espa meanin "spring, funtain." In 1918, the German Airmy established its principal Heidquarters in Spa, an it wis frae here that the delegates set oot for the French lines tae meet Marshal Foch an sue for peace in the consultations leadin up tae the Airmistice which endit the First Warld War. In Julie 1920 it hostit the meetin o the Supreme Cooncil. German delegates wur invitit tae this tae discuss war reparations. The toun is perhaps best kent the day as hame tae the Circuit de Spa-Francorchamps, which hosts the annual Formula Ane Belgian Grand Prix. It is an aa the location o mineral water producer Spa. Agatha Christie's fictional detective Hercule Poirot wis born in Spa. Spa hostit the finish o Stage 2 o the 2010 Tour de France on Julie 5. Wikimedia Commons haes media relatit tae Spa, Belgium. This page wis last eeditit on 14 October 2018, at 19:52.